We developed our iPhone based tide software because we felt there was nothing for us to personally use when fishing, surfing or boating. This personally allowed us to extend our fishing trips by following the natural tide movements and water flow throughout the day without any guesswork. 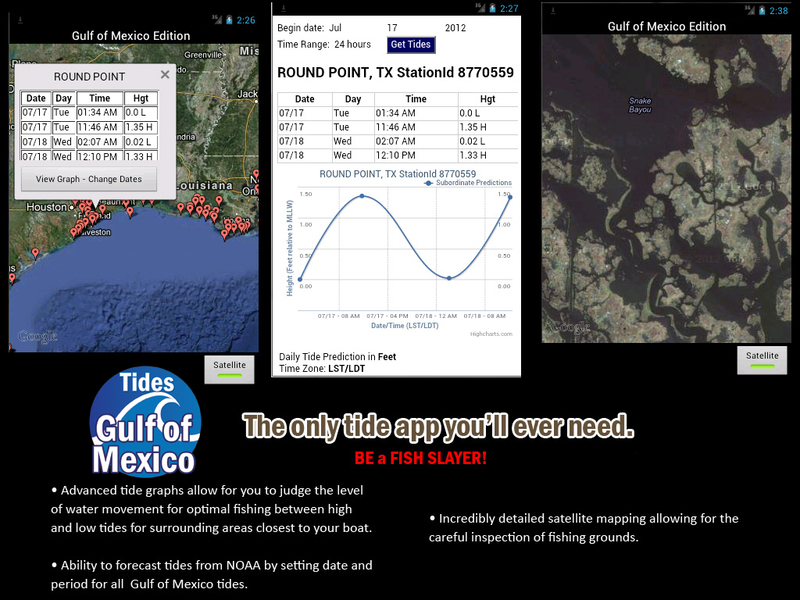 The satellite view has been critical in discovering new fishing area opportunties even if you are local to an area. It’s amazing what a satellite catches from above that you might have missed your whole life.